What do you think of when you hear the month of May? Spring flowers, warm, balmy air, and a reawakening after a winter chill, right? Well, on the opposite side of the planet in Australia, May is the last month of fall and takes place just before the winter, which occurs in the middle of the year in Australia. Overall, May is a lovely time to visit Australia as the climate is mild, crowds are limited, and there are no hectic school holidays to plan around. The only thing to keep in mind if you're thinking of traveling Down Under is to make sure you plan for an autumn adventure instead of a spring break. Given that many parts of the country are not yet experiencing the bitter cold of winter and are won't have to worry about the unbearable dry heat of summer for several months, May is one of the perfect periods in which to travel to Australia. In addition to the pleasant weather that many travelers can usually expect during this time, there are a number of things to do across the country that don’t take place in any other month. It goes without saying that due to Australia's size, it's impossible to group the entire continent, particularly when it comes to the weather. However, though you will experience at least some variations in weather conditions, there are general patterns that can be helpful when planning your trip, and while packing. For the majority of Australia, the top temperature on an average day is around 68 degrees Fahrenheit (20 degrees Celsius). However, in Northern Queensland, temperatures can climb to an average of 81 degrees Fahrenheit (27 degrees Celsius). Tasmania skews a bit colder than the rest of the country, and temperatures can get below 63 degrees Fahrenheit (17 degrees Celsius). There is usually a light amount of rainfall in May, average less than two inches, except in Sydney, Cairns, and Perth where there tends to be more. Weather in Australia during May is reasonably mild, with sometimes cooler nights. Jeans and casual tops will be OK attire for most locations and most sites visited, although you'll want to pack a trenchcoat or slightly heavier jacket if you are in Sydney. A sweatshirt or sweater for layering in the evenings will be useful as well. Comfortable walking shoes are a must, so pack flats for city exploring as well as hiking boots or closed-toe, sturdy shoes if you'll be exploring trails or going out into the bush. In addition to season festivals and events, May also plays host to widely-celebrated legal holidays. In Queensland, Labor Day is a public holiday that generally takes place on the first of May. In the Northern Territory, the holiday is celebrated on the same date but is known as May Day. Both are intended to celebrate the ruling of a manageable eight-hour workday (there was no regulation before this law) for all the citizens of Australia. As this is a public holiday, you may find some services and businesses are closed or offering reduced hours over this long weekend. Flight prices within the country may also be a little higher or could sell out sooner, so try to avoid booking last minute travel. Depending on where you are traveling to in Australia, there is a wide range of festivals to check out, like the Captain Cook 1770 Festival, which takes place in the bizarrely named town of 1770 in Queensland. The festival commemorates the landing of Lieutenant James Cook, a British explorer, navigator, cartographer, and captain in the Royal Navy, on May 24 at Bustard Bay. The festival's events include an elaborate re-enactment of the captain's bay landing, along with live music, fireworks, and a street parade. In Western Australia, the return of the whale sharks to Ningaloo Reef usually takes place in April or May and is celebrated with the Whaleshark Festival at Exmouth. The festival features four days of activities, including a seaside cinema showcase, talent show, fun run, and local artists, artisans, and restaurants selling their goods at the market stalls. 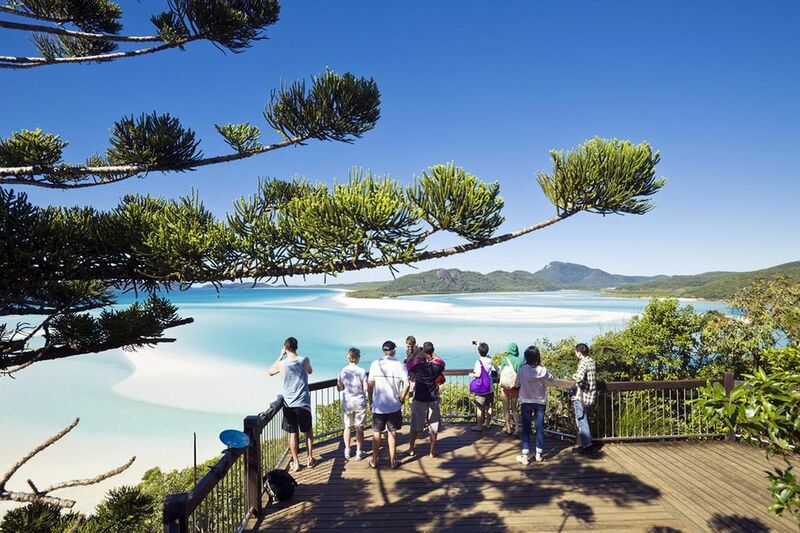 Even if there isn’t a festival held in the part of the country you’re visiting, it's an excellent time for taking a day trip to more remote locations like Tasmania, the Great Barrier Reef, or the outback. You can also pack some good walking shoes and pound the pavement in cities like Sydney and Melbourne, book an authentic aboriginal experience, or take part in one of the countless outdoor activities Australia has to offer. No matter your skill level, you will have no issues finding the activity that's right for you. Australia is known for scuba diving, and surfing, but you can also search for wild kangaroos, exploring an ancient forest, face your fears by bungee jumping, or even spending a few hours relaxing on one the many incredible beaches.